Teachings will be on "Death and Dying from the Buddhist Perspective," "Heart Sutra," and "Mindfulness in Daily Life." Please contact local centers for specific details. 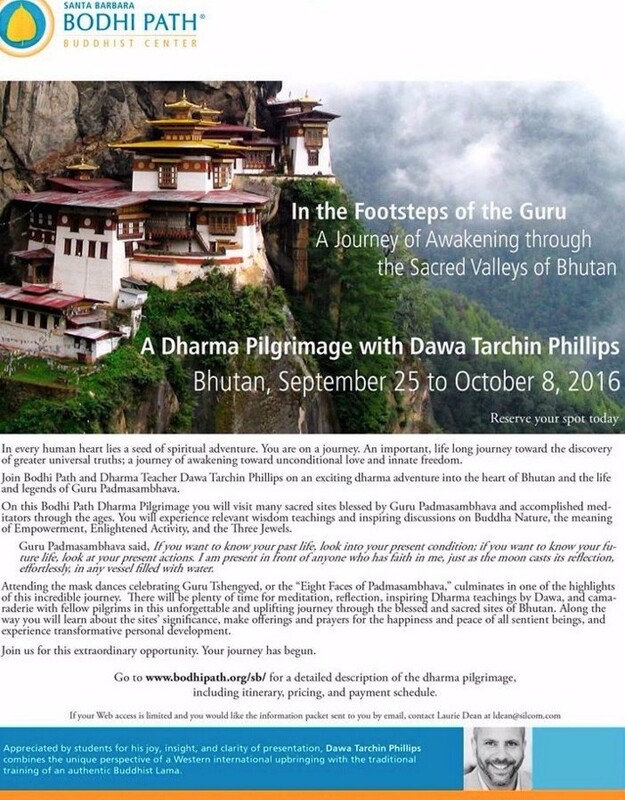 Bodhi Path Centers welcome Lama Jampa Thaye from Manchester, UK to its U.S. West Coastand Canadian locations. Teachings will be on "Prayer to Vajradhara (Dorje Changtungma)," "Introduction to Shentong Madhyamaka," "Buddhism for Modern Times," and "Concise Lojong." Please contact local centers for specific details. Join us as these two exceptional teachers enrich our understanding of the Dharma and deepen our practice experience in an environment that celebrates the heartfelt connection between Bodhi Path students, supporters, and friends old and new. Friday and Saturday, June 24-25, 9:30 am to 6 pm. Sunday, June 26, 9 am to 12 noon. Trinlay Rinpoche continues his teaching of Chapter 9, Wisdom, from Shantideva's The Way of the Bodhisattva. In this culminating chapter, Shantideva (c. 8th century CE) presents -- through the meticulous philosophical analysis of the Madhyamaka School -- wisdom: the way to overcome confusion, the root of all dissatisfactions in life. Awakening, the ultimate goal of Buddhist practice is only attainable through wisdom, the unmistaken non-dual discernment of reality. This week in the U.S. we moved our clocks forward, and the longer daylight hour is a welcome reminder of Spring. 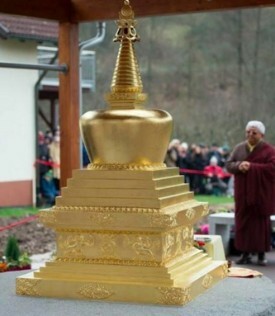 In this e-newsletter are links to several teacher tours, programs, and travel opportunities, as well as lovely pictures from Shamar Rinpoche's reliquary stupa inauguration in Germany this past month. 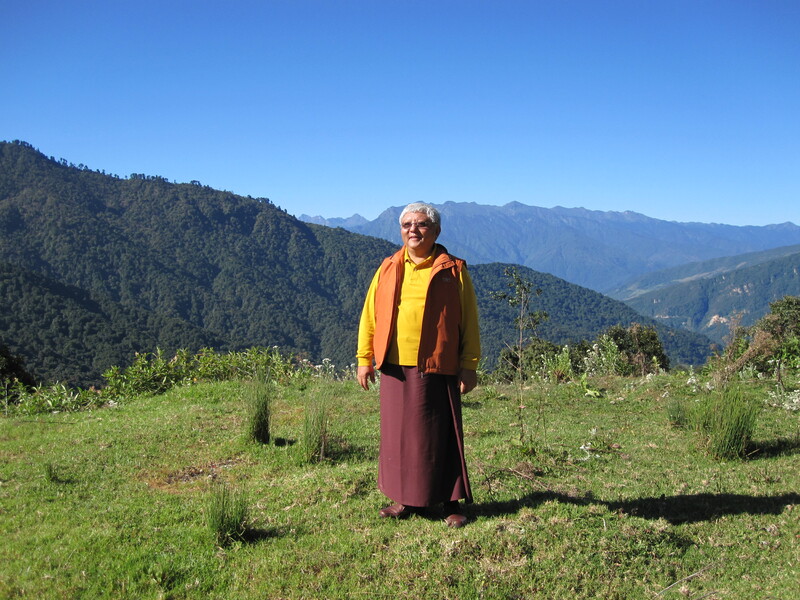 We are excited that we are close to publishing the tribute to Shamar Rinpoche called Voices. It is a beautiful book full of memories, stories, and photos; we look forward to sharing it with you very soon.